Google’s annual livestream event was held on Tuesday, May 24th and, as always, we find ourselves in store for some great new features within the AdWords product. 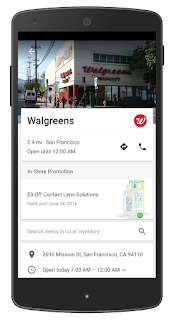 Advertisers can look forward to even more mobile-centric features like device bid modifiers, new ad formats and enriched location ads in Google Maps. One of the most exciting announcements in this week’s livestream, Google has brought to light a complete redesign of the standard text ad on the Google Search network. With the new Expanded Text Ads, advertisers will get 50% more space for text with description lines expanding to 80 characters and the introduction of an additional 30-character headline. That’s right, we’re going to have two headlines to showcase products. With initial performance reports stating an increase of up to 20% in click through rate, this new ad format is sure to change the Search network as we know it. Google didn’t just stop with at the text ads when they were redesigning things. Image ads on the Google Display Network can also expect to have a face lift. With efficiency and mobile phones in mind, we will now be able to create responsive image ads. With a headline, short description, image and landing page, Google will create the perfect image ad based on the website your ad is show on. This will allow for a more seamless production of creative while ensuring that users are shown the most appealing creative. While on the topic of redesigns, it was also mentioned that advertisers can expect to see a completely redesigned AdWords interface over the next year. With an updated look and better showcase of important metrics, we can look forward to an interface that will stage data in an easy-to-digest format allowing us to save time when optimizing accounts. Next up, the introduction of device bid modifiers. “But wait!” you say, “I thought we already had device bid modifiers?” We do, kind of… Currently, we have the ability to set bid modifiers to increase or decrease bids on mobile devices only. We can tell AdWords that we’re willing to spend up to 300% more for a mobile click, or alternately, bid down the device up to 100% if we want to stay away from cell phone users. This feature will now be expanded to include the ability to adjust bid modifiers not only on mobile devices, but also on tablets and desktops with a total of 900% increase of bids. This will give us more control over each device, ensuring we only spend money where performance is strong. According to Google’s stats, 30% of mobile searches are linked to a location which is growing 50% faster than general searches on a mobile device. 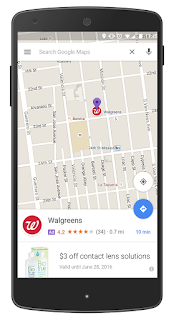 That’s a lot of eyeballs looking for your business and Google is help ing adv ertisers capitalize on this through the launch of new local search ads. With new, enriched business location pages, companies can stand out from the crowd with a branded pin, promotions of in-store offers and even the ability of browsing product inventory; all from the business page. Three quarters of searches looking for a local business lead to same-day in-store visits, these enhancements are geared towards helping drive that foot traffic even more. Last, but definitely not least: remarketing! Everyone knows the importance of remarketing and the incredible performance it can bring. Google announced they were bringing similar audiences to the remarketing lists for search ads (RLSAs) product. This is big news as advertisers have been drooling over this feature in the display network for ages. The ability to target highly qualified users based on mirrored behaviors matching your past website visitors opens your reach to a once untapped potential customer pool. Google has become a dominate force in the online world for a reason; their ever-evolving product line always ensures both advertiser and user are presented with the highest level of quality and service in the market and this livestream provided us with a small look at what’s in store for us in 2016 and onward.